If you’re looking for a refreshing drink anytime of the day then consider trying the strawberry and kiwi detox water recipe provided below! This quick and simple detox water recipe is ideal for anyone who might enjoy a touch of sweetness in their water. 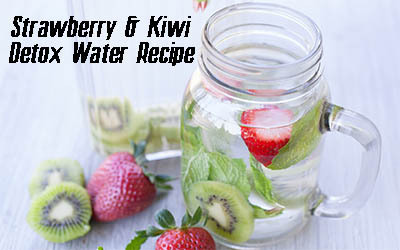 Since both the strawberry and kiwi fruits are known for being on the sweet side, you can imagine how that is going to alter the way your water will taste. 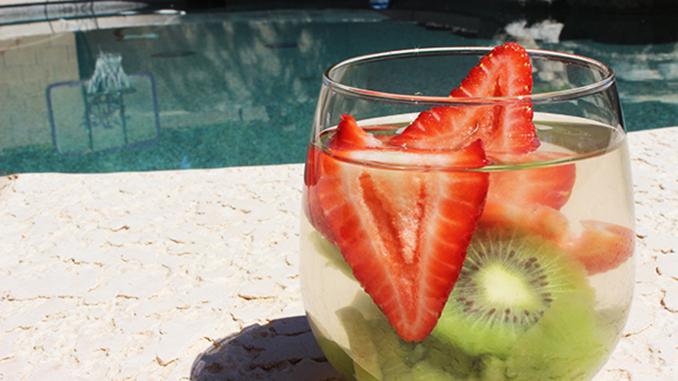 It’s refreshing and a great way to boost your mood; So try this strawberry and kiwi water today! Once you’ve combined the ingredients into a pitcher of water then you’re ready to begin. Make this delicious drink anytime of the day and enjoy the fantastic benefits that come from drinking detox water including the release of fat cells, improved mood and natural toxin flushing from your system!